The barn owl stands 330-430 mm tall and weighs 500-680g. The female is slightly larger than the male. The beak is curved downward so it doesn’t interfere with the animal’s field of vision. Barn owls see in black-and-white only. The stiff feathers on the face collect and reflect high-frequency sounds toward the ears. The ears are asymmetrically placed on either side of the head. The owl will turn its head until the sound of its prey is directly in front of it and it can pinpoint the exact location. The legs are covered with feathers. 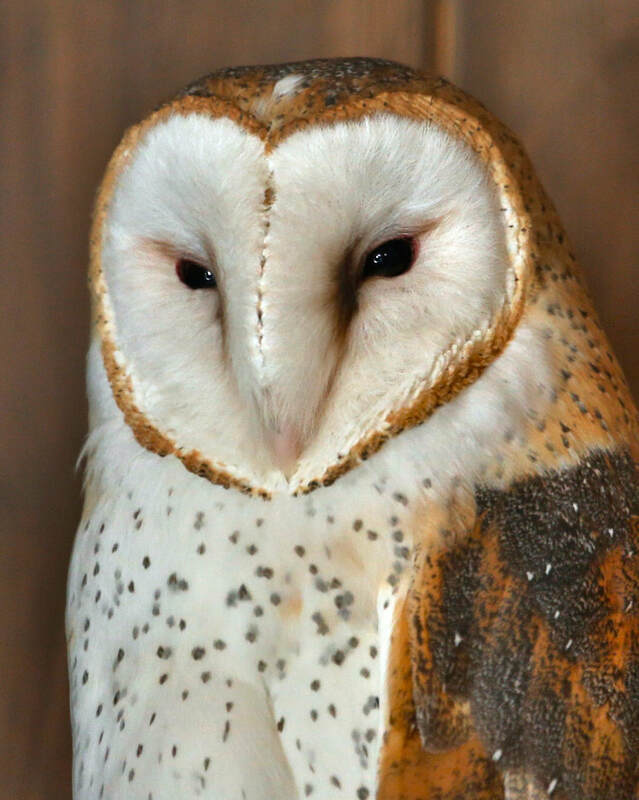 The barn owl has a “reversible” outer toe which can either point forward or backward to increase the “catching area.” The middle and inner toes are equal in length, unlike many other owls. Grasslands, cultivated land, scrub, and along the forest edge. North and South America, Europe, Southeast Asia, Australia and Africa. Small mammals and birds, fish, frogs, lizards and large insects. The bones, feathers, fur and any other non-digestible parts of their prey are compacted into a pellet which is regurgitated. The female will lay 3-11 eggs (usually 5-7) and incubate them for 32-34 days. She will incubate the eggs for 27 to 34 days while the male provides Food and guards the nest. The number of eggs laid and broods raised are directly influenced by the availability of prey. Occasionally, three clutches are produced each year. Endangered species in the state of Connecticut. There is a loss of habitat, good hunting grounds and reduced potential nesting sights. They suffer from being poisoned by agricultural chemicals. 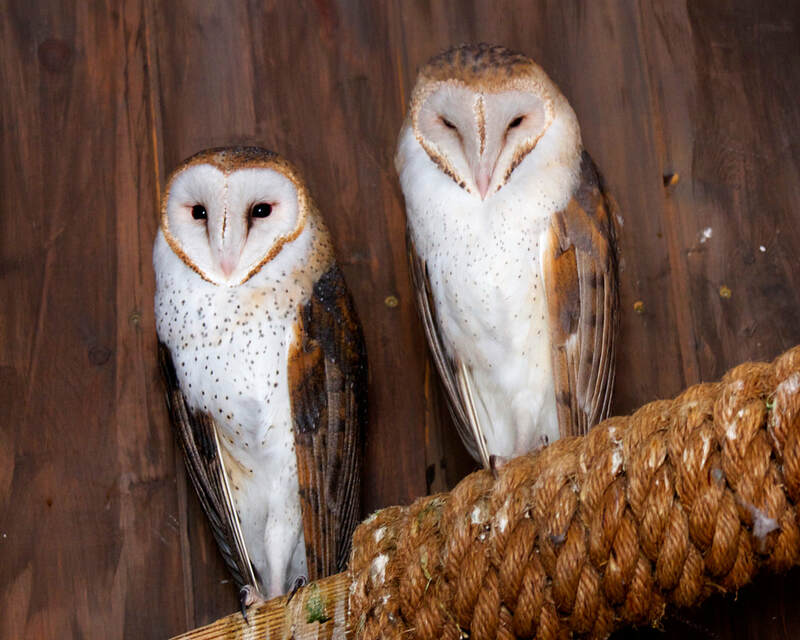 ​There are 11 species of Barn Owls. A single family of Barn Owls can consume approximately 1,300 rats per year! Their curved talons are well adapted to catching their prey and holding on to it during flight. When threatened or frightened, barn owls will click their tongue and may even hiss. Occasionally the animal is called the ghost owl, due to their “spine-tingling” screech and their ghostly appearance when startled into flight by a headlight or flashlight. Although barn owls are nocturnal, when necessary they will hunt during the day.